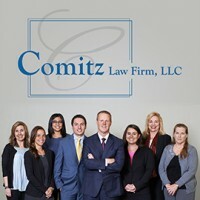 Comitz Law Firm is proud to announce that our office will be relocating to downtown Wilkes-Barre in April 2014. Construction is underway at our new location – the former Martz terminal at 46 Public Square. With King’s College recently purchasing the former Ramada Inn, we’re excited to be moving in next door – part of the revitalized downtown at a location that better serves our clients. Check our website and Facebook page for updates as we get closer to the move.